David Brent has been described as a delusional, cringeworthy, egotistic prick whilst also falling victim to the Dunning-Kruger effect. For us fans, he is all of the above and more. He’s a friend first, a boss second, and probably an entertainer third. He’s the man at the top of the food chain. He’s also refreshingly laid back for a man with such responsibility. A self-described philosopher, poet and musician (read rockstar) he is also a sublime dancer. Some might say he’s also a misogynist. He is charitable chap. A man who has done five fun runs in two years. An evangelist who’s spreading the word in Slough. Once he’s done with Slough, he’ll move onto Reading, Aldershot, Bracknell, Didcot, Yateley. Winnersh. Taplow. He is a renegade and unorthodox, and doesn’t play by, “The Rules”. This is the character that you know and love as David Brent. The man we love to hate and also all hate to love, because let’s face it, that at one point or other in our lives, WE HAVE ALL come across a “David Brent”. There are “David Brent’s” in every facet of our lives. It is only the degree to which these people are “brentified” that remains the question. Whenever we come across these individuals, there is a natural affinity to match them up with particular Brent moments from the series, and more specifically David Brent quotes. This is where this website comes in very useful. 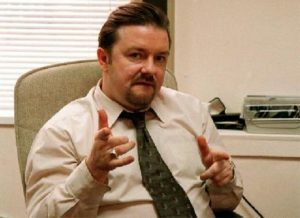 This David Brent Quotes website has been founded to document the very best quotes and scenes from the entire Office series. All the quotes are split out by season: Season 1, Season 2, and the Xmas Special. We also have a great section comprising of a large range of David Brent Memes. We have included the videos to David Brent’s songs including Freelove Freeway, Spaceman, and Lady Gypsy. If you think we have missed a quote which is too good to leave out, or you have a piece of content you’d like to share with the David Brent Quotes readers, then please reach out to us via our Contact Page.